It was just Halloween—so let’s talk about it! WHAT SCARES YOU? If you are anything like me, you probably don’t need a raging lunatic with a butcher knife and a hockey mask to get scared. Maybe a speedy roller coaster or a week or more without sunlight would fit in the category of frightening! 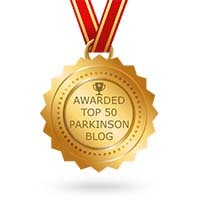 Okay, this is pretty much a blog on Parkinson’s disease and I will admit that this illness can be very scary, but it doesn’t have to be terrifying. Some of our fears are truly justified and are there for a reason. Fears can be mechanisms that remind us not to get too close to a fire or to avoid approaching the lion’s den, but then there are those fears that perpetuate themselves and may get away from us. Fears, like wildfires, can get fanned and grow into severe anxiety, causing more and more negative emotions. Fears of the unknown or visions of our mind that manifest from our sub-conscience may just arise. When anxiety, frustration, and stress lead into depression or despair, we have a huge problem to resolve, quickly! Fear is that four letter word that can motivate us or hold us back from fulfilling our destiny and our dreams. People share with me how impressed they are that I wrote a book. As much as I appreciate the praise and well wishes, I tell them that anyone and everyone can write a book. Overcoming the fear to put your story or viewpoints on paper or the web takes some gumption and willingness to be completely frank, yet vulnerable. Just like writing, public speaking is frightening, exhilarating, exhausting, and empowering, all in one. Some fears are ours to conquer. Some fears are meant to be respected and accepted. Most of us know deep down, which ones are which, but it is when we choose the wrong fear to meddle with, that may cause problems, danger, harm, or insult. Overcoming our fears is a step-by-step piece of our growth to becoming stronger individuals. A big part of learning and improving ourselves is to expand our knowledge base and to find the tools that may assist us in calming our fears. Tags: 2018, a soft voice in a noisy world, audio books, blog, book, books, brain surgery, Disease, doctor, doctors, dreams, fear, global, Halloween, Health, illness, Karl Robb, media, medicine, news, Parkinson's Disease, Parkinson's workbook, positive thinking, reiki, support, terror, wellness, What scares you? Don’t be alarmed– but be aware, my fellow Parkinson’s disease travelers! As if we didn’t have enough to worry about along our journey, it was released recently, that the Transportation & Security Administration (TSA) has a program called “Quiet Skies” that is noting behavior, looking for excessive fidgeting, perspiration, and cold stares by passengers. Supposedly, fifty passengers a day are identified. We are being tracked and monitored both on the ground and in the air. Our habits, reading material, and reactions are noted and logged, if we bring any kind of attention to ourselves. The knowledge that anything out of the ordinary needs investigation is understandable, but when you are faced with a neurological disorder that can alter your walking, uncontrollable movement and body temperature regulation (both hot and cold), tremor, or balance issues- these physiological reactions are possibly red flags that could bring focus on those of us living with an illness. 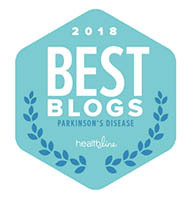 Maybe, just maybe, through education and identifying ourselves as people with Parkinson’s and educating TSA agents about facial masking, dyskinesia, bradykinesia, as well as the numerous subtleties that can come with Parkinson’s, might be just what the doctor ordered. Instead of making the TSA wonder what we are going through, we need to create a teachable moment that might just lead to real changes. People suspect and often fear what they don’t know about. 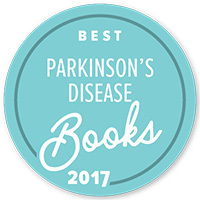 Unless you live with Parkinson’s disease daily and are aware of the wide variety of symptoms and unpredictability of this illness, only through education and extra training will those unfamiliar with neurological disorders come to be educated.